133 pages of Baseball Instruction, Tips and Insight. Includes over 70 photos, graphics and checklists. There are sections packed with information on Coaching and Coaching Philosophy, Pitching, Defense, Offense, Catching, and Strength Training. Included are some of the Best of Past Articles of the Baseball Excellence Monthly Newsletters. 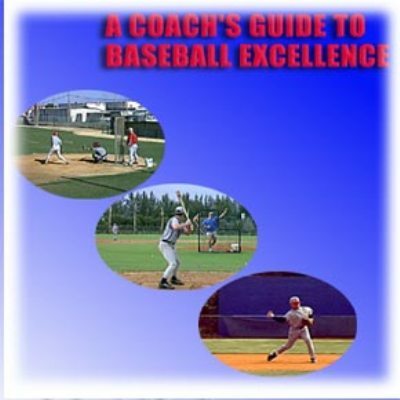 A COACHES GUIDE TO BASEBALL EXCELLENCE also includes many drills and tips. We have compiled an important Guidebook for Youth and Advanced Coaches. From a Sound Coaching Philosophy to a Working Pitching Plan; from a "Winning Approach to Hitting" to how to plan and run Baseball Practices, this book has it all. (There is a right way to play this game.